Boba Fett. boba fett!. Wallpaper and background images in the ster Wars: Clone Wars club tagged: star wars star wars cool. This ster Wars: Clone Wars photo might contain borstplaat, auspiciën, egis, and aegis. 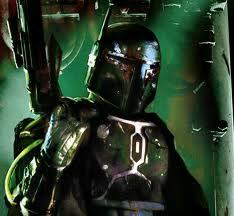 Nice one of the ultimate bounty hunter!